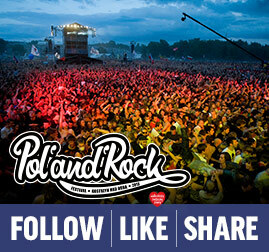 Pol'and'Rock Festival is all about positive vibes, colour and great fun. It is also about being close to music and interaction with art and exploring your own creative side. From the beginning of our adventure, we were focused on multimedia. We think that one of the best things about the digital age is being able to come back to the best memories and being able to take part in the experiences you might be unable to attend in the flesh! Kręcioła.TV is GOCC and Jurek Owsiak's online television. 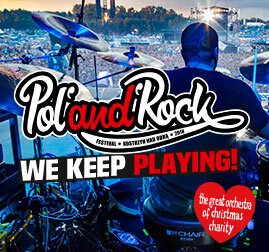 Kręcioła documents the events that take place at Pol'and'Rock Festival and the work of the GOCC foundation. You will find new and vintage video material: concerts, meetings, activities, and daily events at the festival. Kręcioła.TV reporters will take you behind the scenes of the festival and backstage, where they will interview the stars of the festival. Follow Kręcioła for daily updates, live-streams, Jurek's vlogs, interviews, and more! We also take the radio waves with Radio Woodstock, which is a fully operational field radio. We also invite you to take a virtual walk around Woodstock grounds provided by panoramo.pl and familiarize yourself with the maps of festival grounds prepared by Esri Poland. Download our app to be in touch on the go!